The PGF 14U Premier National Champion Corona Angels-Tyson team. After the last play of the game, when a Sorcerer-Schroll batter was called out for stepping outside the box with the bases loaded and a 9-2 score in the bottom of the 6th, it took a second for the Angels in the field to realize what had happened and that the game was over because the “six after six” run rule was in effect. 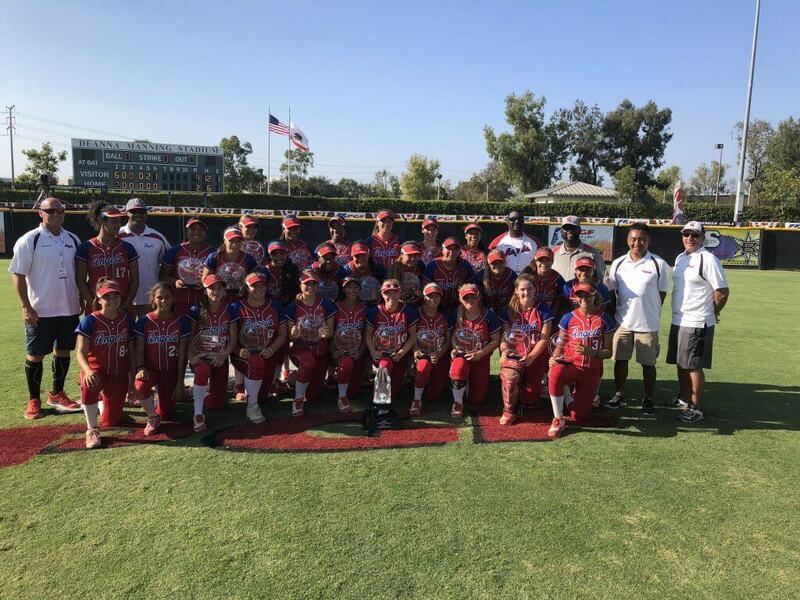 But when they did it, was an explosive celebration as Marty Tyson’s team won the PGF 14U Premier National Championship for the second time in five years.